Extensions are X and Pro specific plugins available for download for all customers with a validated purchase of X or Pro. You can easily download and manage all of your Extensions directly from the WordPress admin area under X > Validation or Pro > Validation. This article covers documentation for the Disqus Comments Extension and goes into detail on certain features where needed. After installing and activating Disqus Comments you'll find it's settings under the X menu item if X is installed and activated, or the Pro menu item if Pro is installed and activated. Disqus Comments is an online commenting platform, our Disqus Comments plugin brings the power of Disqus Comments to your WordPress website, replacing the standard WordPress comments system with Disqus Comments! Find out more about the Disqus Comments platform here. The first and most important setting you need to enter is the shortname, you set the shortname when connecting your website to Disqus Comments. Head on over to Disqus.comClick on Get Started. Follow the signup process and once you've created your account you'll be able to select from two options either I want to comment on sites or I want to install Disqus on my site. 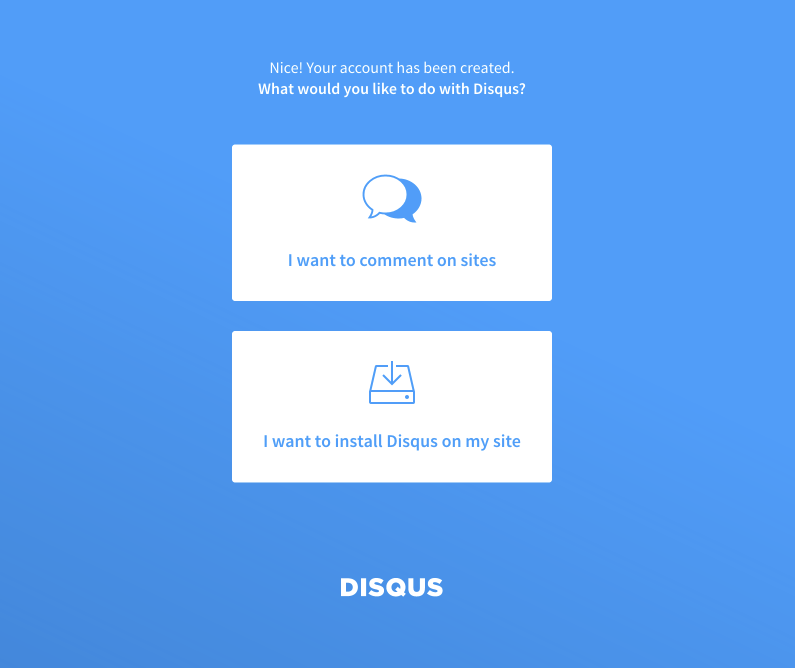 Go ahead and select I want to install Disqus on my site you'll then be taken to connect your site. In the website, name box enter the display name of your website, not the URL. For example, we'd use Themeco rather than http://theme.co as theme.co is our URL and not the business name. After this, you'll be taken to set up your site and choose the platform of your website. For example, WordPress, Wix, Squarespace etc. Select WordPress but ignore their instructions. As you already have our plugin installed. All you need is the shortname which we created in the previous step, take your shortname and navigate back to your WordPress Dashboard > X/Pro > Disqus Comments and in the Shortname field enter the shortname you selected when signing up and connecting your website to Disqus. Once you've done that click on Update to save the settings. Congrats! Disqus Comments are now loading on your website. 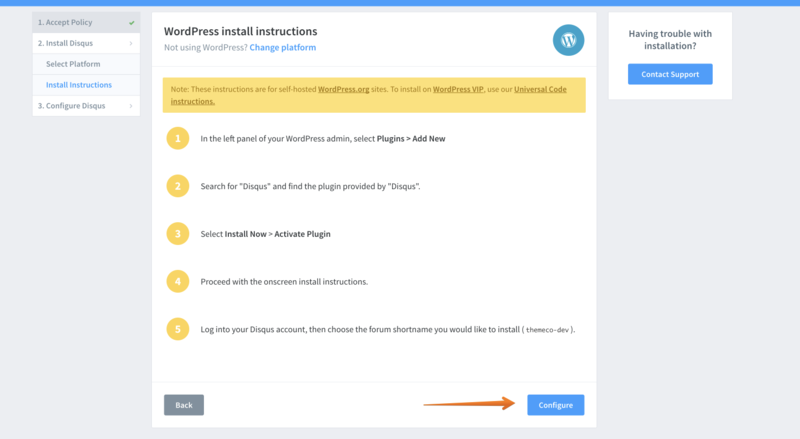 Head back on over to the Disqus website on the configuration for the WordPress platform and just click configure at the bottom of the page. Here you can set the color scheme, dark, light or auto, typography and a few other settings. You don't need to modify any settings on this screen for Disqus to work so if you're happy with everything to go ahead and click on Complete Setup. Now Disqus is installed and configured correctly. If you head back to your WordPress Dashboard > X/Pro > Disqus Comments. There are two other settings. The first one being for Lazy Loading. Lazy loading allows you to prevent Disqus Comments from starting to load until someone starts scrolling. And the last option is called Exclude Post Types. As the name implies it allows you to exclude Disqus Comments from appearing on specific post types. Useful if you want comments on posts, but perhaps don't want them on your products. 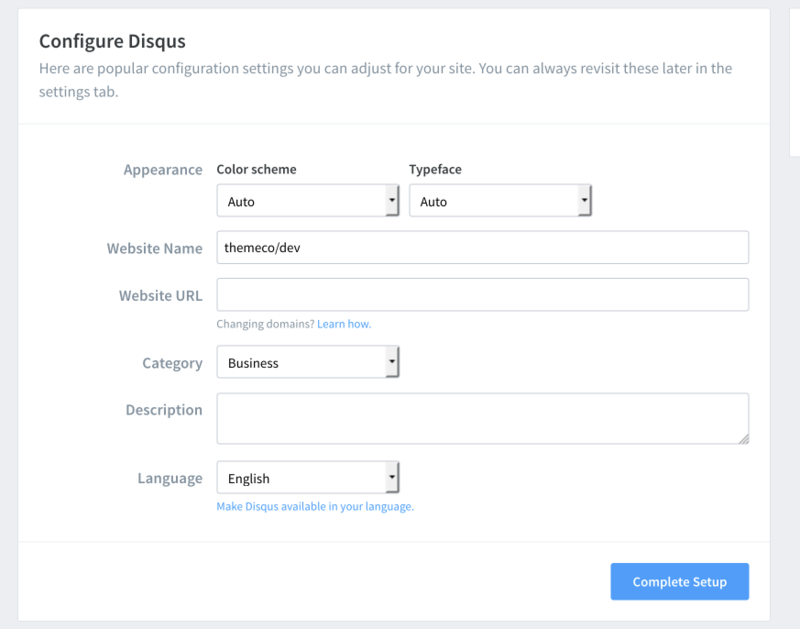 Disqus is now configured and ready to use on your site! The Disqus Comments Extension utilizes a native WordPress filter to swap out the standard comment template with Disqus' comment functionality. If you do not have comments enabled on your site or page, post, portfolio item, et cetera, you will not see the Disqus comments be output. Ensure that you have comments enabled on your site/entries so that you can see the Disqus comments. Is Disqus free with Xtheme?